Thanks to modern day technology, you can be anywhere in the world and save a 500+ year old loggia. This in not ANY loggia. It belongs to the Pazzi Chapel which sits to the right of the largest Franciscan church in the world—the awe-inspiring Basilica di Santa Croce. The Pazzi Chapel was built to be used as a chapter house by the friars. After a fire in 1423, Andrea de’ Pazzi commissioned none other than Brunelleschi in 1429 to build an architectural beauty in the burnt-down site. 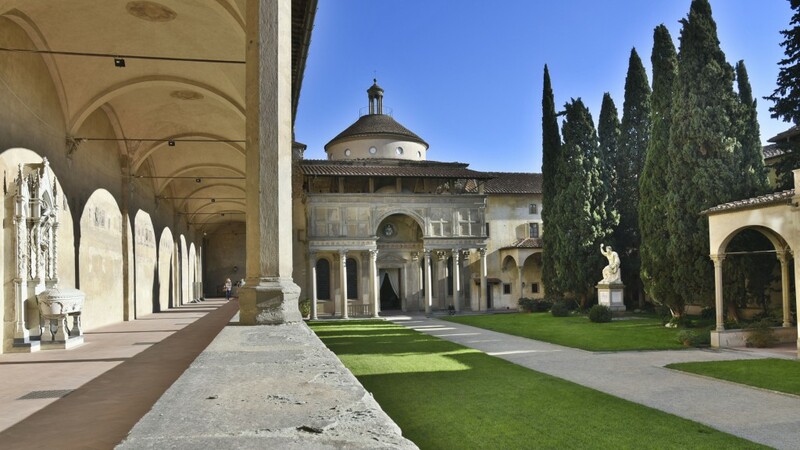 Although Brunelleschi died in 1446, the chapel and loggia were completed yet it is still unknown as to how much Brunelleschi contributed…another romantic Florentine mystery. Today the Opera di Santa Croce and The Florentine (a monthly English newspaper) held a press conference in the 15th Century Pazzi Chapel. The event was to publicize the new Kickstarter campaign and to show all who participated exactly where the money will be going. I shamefully must admit that it was my first time in the chapel and in Santa Croce, yes, please slap me. It’s events like these that make non-art historians like myself have the ability to be involved in the city and in its priceless art. Why is it important to restore? The magically sculpted pietra serena, gray sandstone, crumbles over time and now is the time to restore it to ensure it’s preservation so you, me and the rest of the world can continue to enjoy the magnificence that makes Florence so amazing. It’s not ranked the number one city for nothing. The three-sided arched structure has six supporting columns that are constantly exposed to the natural elements. A pulsating point of the restoration is the unique dome that hails over the entrance of the chapel. It is a floral maiolica, a tin-glazed pottery, attributed to Luca della Robbia. If you notice, the heart of the design holds the Pazzi coat of arms. Let’s not forget the decorated vaults…there is clearly lots of work to be done. How can you help? So, glad you asked! 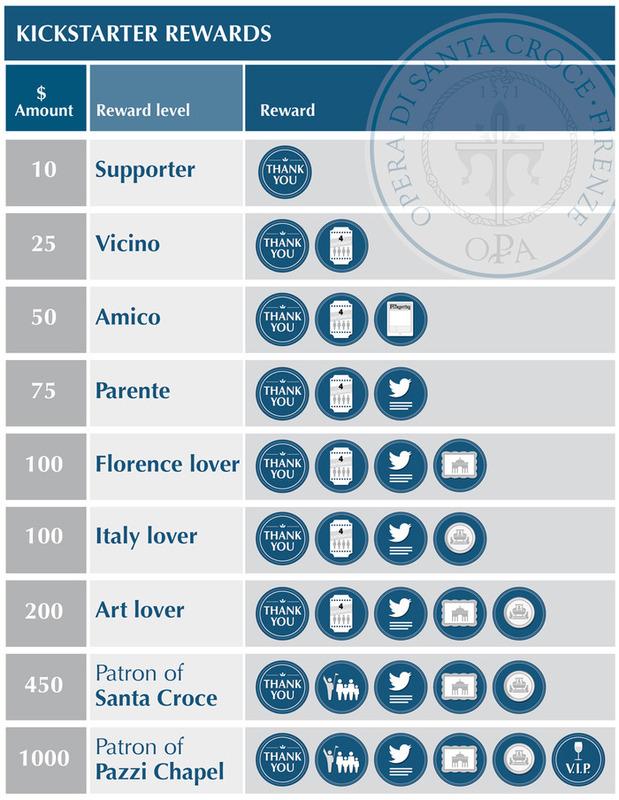 This is the first time that a cultural institution has used crowdfunding in Italy, so join us and be a part of history. 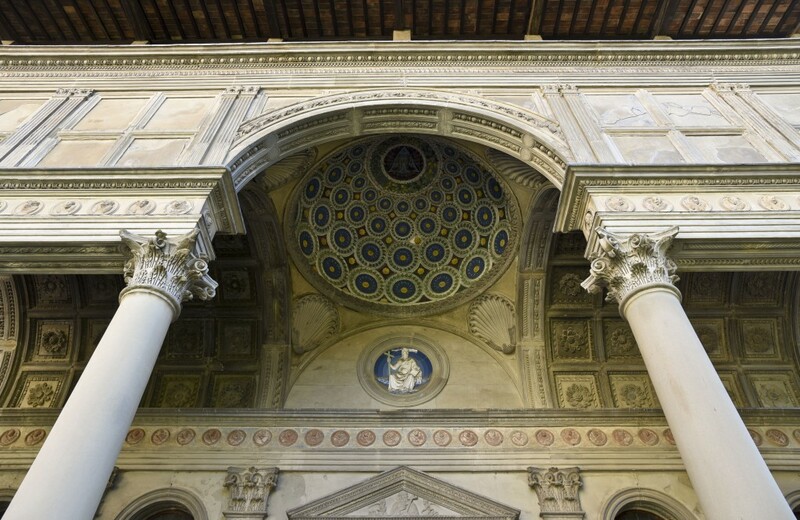 Head over to Pazzi Chapel’s Kickstarter page to watch the informative video (narrated by famous Venetian architect, Francesco da Mosto), read more information and donate your hearts out. The starting bid is only $10 and goes up to $1,000, but of course you can donate above and beyond the listed amounts. Your name will be included in the historical archives, even with the minimum donation, BUT with a minimum of $100 you will receive a limited edition Michelangelo commemorative medal. Check out all the rewards! *The campaign ends on December 20th in hopes of raising $95,000. Peeking through the gates, see it on Instagram. 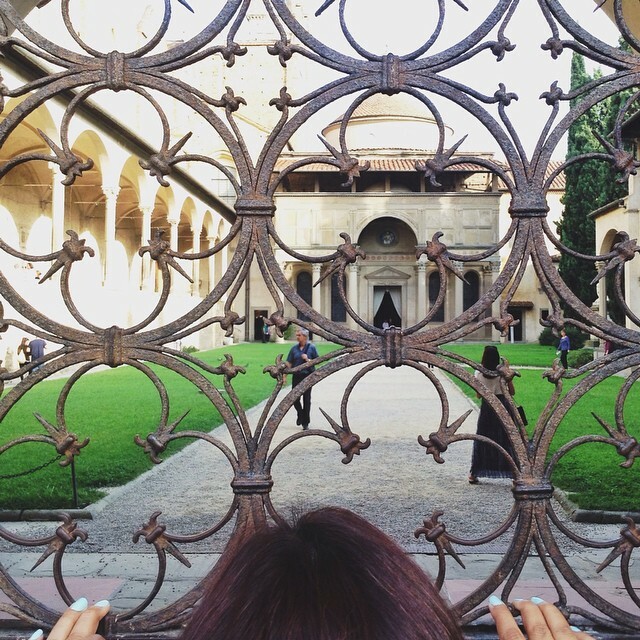 Besides on Facebook and Twitter, #CrazyforPazzi is making waves on Instagram. Share your love and support by going crazy on social media with #CrazyforPazzi! 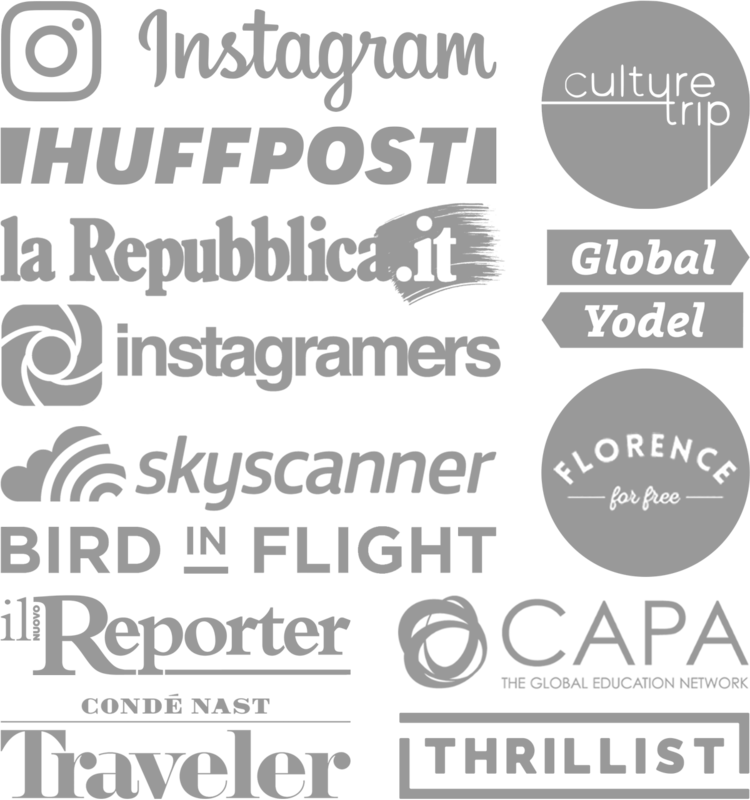 On November 29th I will join @igers_firenze and @theflorentine for an Instagram event. We will be taking an hour tour through hidden sections of the church and chapel. Follow me for some pazzi shots. You are saving a part of history, so please share this post! Have you been to the many rooms of Santa Croce, I was so impressed with it’s size, frescoes and even the Scuola dei Cuoio. What a beautiful looking place and a great campaign, I hope it does well! It’s beautiful and so far have raised $22,490!